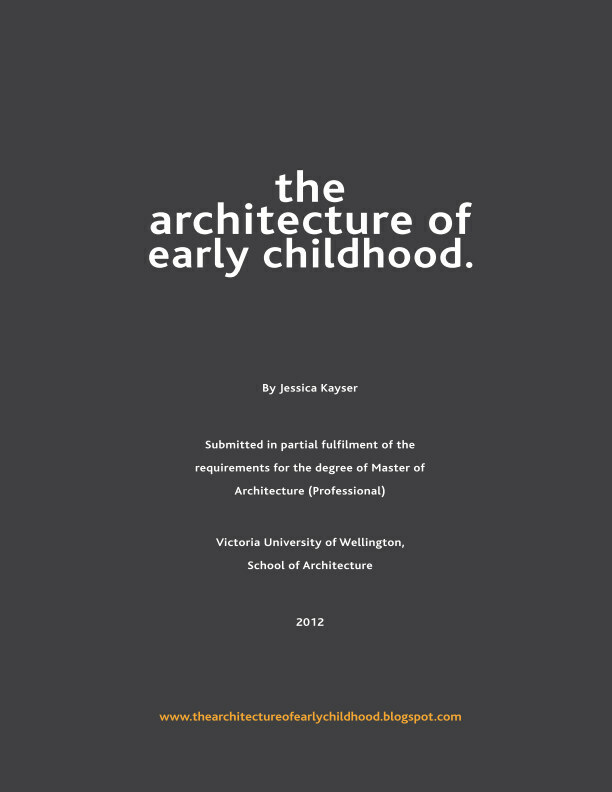 Following my previous post, which looked at a number of (sculptural and adventure) playgrounds designed by architects and artists between 1930-80 in America who sought to create meaningful and creative spaces for children's play; I am now going to look at what is happening today. It can be said, that we are beginning to witness a resurgence of interest in children's play. Perhaps this is because playgrounds today are competing for kids' time and losing. Nearly 25% of children aged 9-13 have no free time for physical activity, and a child is six times as likely to play a videogame as to ride a bike. Therefore, the playgrounds of tomoroow must offer something that even the most enticing virtual offerings cannot: real spaces that look at least as amazing as anything virtual (Manaugh, 2012). Architects and designers are beginning to rise to this challenge, creating spaces that are complex, engaging and some even with technological gadgets to push. Loose Parts: which allow the user to create their own play sculpture and can be transported from site to site. Playscapes: which work on the thesis of combining play with landscape design - these playgrounds transform urban space into vibrant play spaces. The playground frequently seen today is a colourful collection of commercial equipment where use is predetermined, leaving little open to interpretation or improvisation. "Sailing? My new castle, sailing?" thought Laris. So he learnt, it is not the designer who decides how something is used, it is the children. And it became clear to him, the crucial need for designs that are less obvious, more abstract, and include a diversity of shapes and materials so that they are open to a wide range of imaginative interpretations – interpretations made by the children themselves. 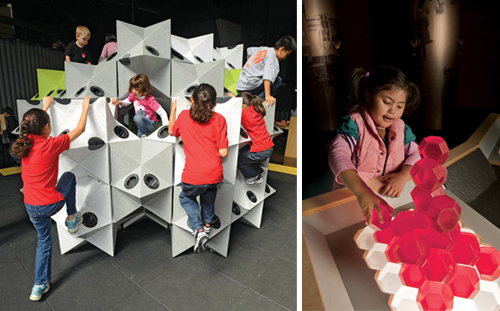 Like my previous post (and thankyou ako for pointing me to this), the Tinkering School in the U.S. promotes enquiry or project-based learning - through building (or "tinkering"). Providing the children with tools, materials and guidance, these young imaginations run wild and learn creative problem-solving. Watch this presentation given by Gever Tulley the founder of the school to see some of what these kids came up with...including boats, bridges and even a rollercoaster! As Tulley says: "Success is in the doing and failures are celebrated and analysed." As it should be. Prestolee School in Lancashire, England under the guide of Mr E F (Teddy) O'Neil between 1919 and 1952 became a radical experiment of progressive educational ideas, encouraging its children to learn by experience or by 'doing'. Prestolee from Green Schools Online on Vimeo. O'Neil like that of John Dewey (1859-1952) objected to the concept that the child's day must be divided up between work and play, his thesis being that children learnt by doing. He therefore developed a school environment which enbaled the children to work at their own pace following their own course of development. 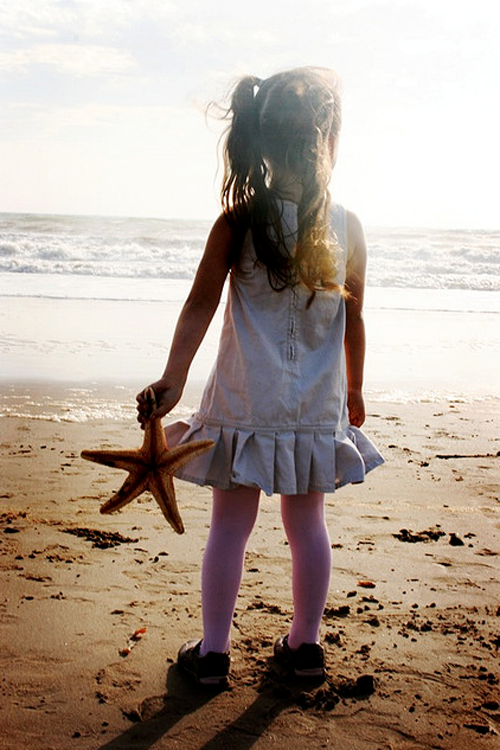 He believed that children were constructors and researchers of their own worlds, and that they should choose to utilise their time best to develop their own interests (Dudek, 2006). 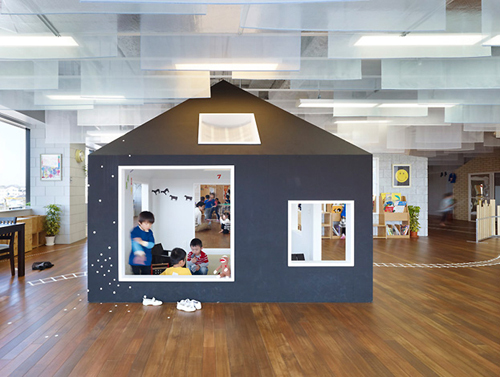 I blogged previously about Suppose Designs' concept drawings for an early childhood centre that adopted the metaphor of a miniature town using 'house-like' units to fit-out an existing space for young children. And now the concept has been realised! 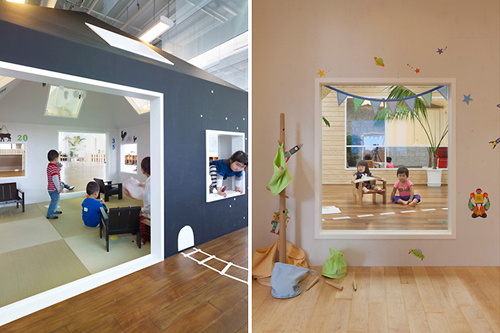 Built in Kanagawa, Japan, the Kiddy Shonan C/X Nursery houses a series of small different shaped and textured 'dwellings' functioning as classrooms or playrooms.